Workshops we offer come in all shapes and sizes and can last for just two hours or be spread over one or two days, depending on the subject matter. One of our first in England was 'Activating and balancing the five elements and seven chakras'. This includes an introduction to the relationship between the elements and chakras, followed by pranayama, chakra dancing, elements meditation and an extended gong bath featuring all five elemental gongs. 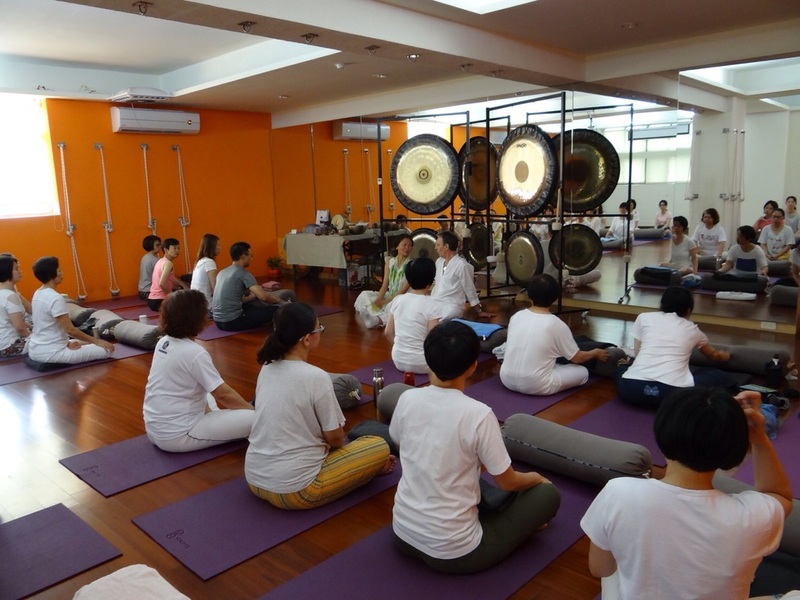 Our first in Taiwan, a day-long event in Taipei, involved an in-depth discussion of the origin of the gong and its healing power; an extended gong bath using planet gongs to journey up the Tree of Life to source; a practical demonstration of different methods of one-to-one sound healing; and ended with a gentle meditative yin yoga practice with sotto voce gongs.